The Telecom Regulatory Authority of India (Trai) had set the deadline for the implementation of the Trai based tariff plans on February 1, 2019. The regulator has also requested the DTH providers and cable operators to speed up the migration process for the subscribers to transition to the new Trai based channel packs. All the service providers and DTH operators have come out announcing their various packs and channel packs pricing. While D2h was the first of the many to declare the prices, other operators soon followed and revealed their rates as well. It is worth noting that all the providers are shipping various combo plans which offer different channels clubbed together either based on quality, genres, or language. Another big operator, Dish TV had announced combo plans for North and South region, now the provider has announced add-on packs based on the new pricing scheme. 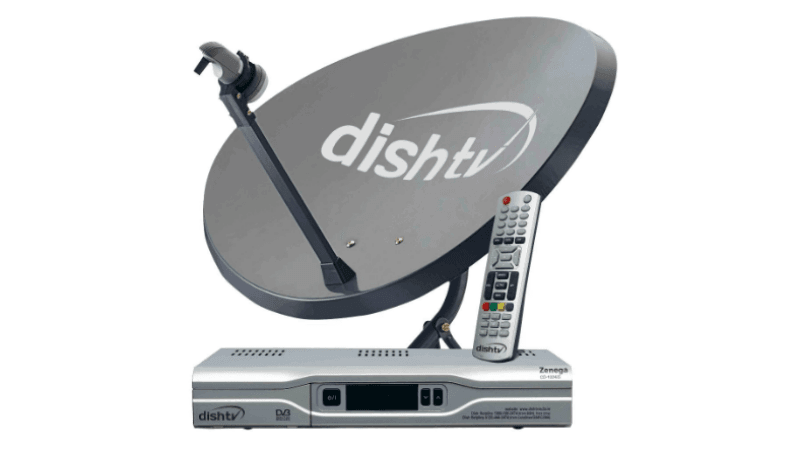 To recall, in the North region, the combo plans which were first introduced include Dish TV Swagat, Dish TV Super Family, Dish TV Maxi Sports, Dish TV Super Sports and Dish TV Titanium and they cost Rs 213, Rs 265, Rs 306, Rs 386 and Rs 433 respectively. Subscribers should note that these prices are exclusive of GST. More combo packs for the North region include the Dish TV Swagat, Dish TV Super Family, Dish TV Maxi Sports, Dish TV Super Sports and Dish TV Titanium and they cost Rs 213, Rs 265, Rs 306, Rs 386 and Rs 433 respectively. 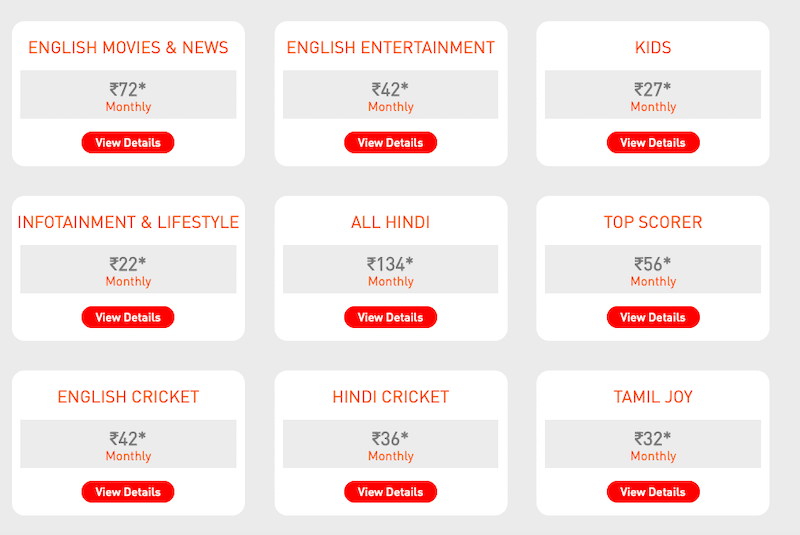 Now, Dish TV has introduced new add-on packs in the North region which include English Movies and News for Rs 72, English Entertainment for Rs 42, Kids for Rs 27, Infotainment and Lifestyle for Rs 24, Hindi Entertainment for Rs 103, All Hindi Pack for Rs 134, Top Scorer pack for Rs 56, English Cricket Rs 42 and Hindi Cricket Rs 36. Earlier, for the South region, Dish TV has introduced different plans in Kannada, Telugu, Tamil and Malayalam. The Combo plans for Telugu are Classic Joy Telugu which offers 199 channels and Classic Joy+ Telugu with 216 channels on offer. The Classic Joy Telugu costs Rs 180 while the Classic Joy+ Telugu costs a customer Rs 243. Having said that, all the add-ons mentioned above are also applicable for the South users. To check out the entire add-ons list, head over to the company’s website by clicking here.